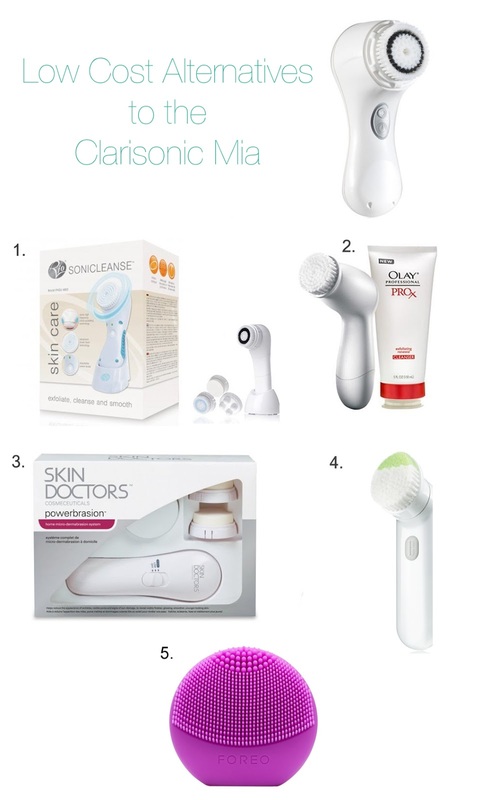 The Clarisonic Mia has really taken the beauty world by storm, with lots of beauty bloggers and consumers either owning one or lusting after one. While some regard it as a 'glorified electric toothbrush', Clarisonic boast that the Mia has many benefits over traditional cleansing methods; they say 'Using Sonic Technology, Clarisonic’s patented micro-massage motion works within skin’s natural elasticity to gently remove the impurities traditional methods leave behind'. It does sound tempting, but isn't Sonic Technology just another word for vibration? Many of us dont have a spare £100 lying around to spend on a vibrating face brush, but with the benefits of this technique widely reviewed, why should we miss out? 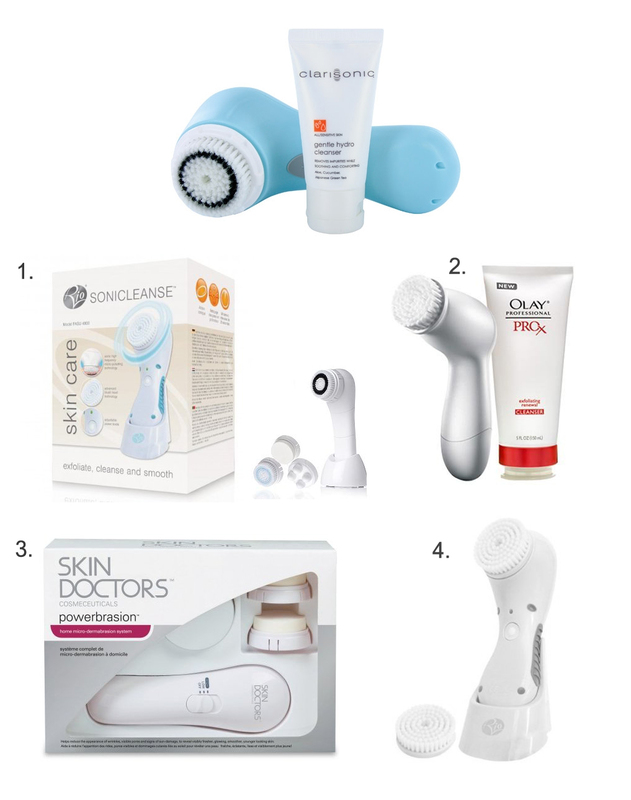 Below I have compiled a list of 5 of the best alternatives to the Clarisonic Mia or Clarisonic Mia 2 (£105), including links to where you can purchase them in the UK, that won't leave you sobbing over your bank balance. When I think of the brand Rio I think of nail kits and hair removal products, in my experience all good quality and effective so why should their cleansing system be any different? The Rio Sonicleance uses micro-pulsating high frequency sonic cleaning to cleanse deep down into pores and helps 'reduce the appearance of pores, oily areas, dry skin patches and blemishes'. This brush is designed to invigorate the skin by removing the dry epidermal facial layer and cleansing the pores to remove dirt and oil. The Rio Sonicleance is also water resistant and comes with two-year warranty. This system has a 3.5 out of 5 star rating on Amazon and reviewers have commented that their skin feels smoother, they have less spots and dry patches, and their moisturiser is better absorbed. While this system is more geared toward anti-aging, it promises to heighten the hydrating effects of your moisturiser and has been created by dermatologists. This system also comes with an extra head (usually you have to buy these in singles or packs once the original has worn out), exfoliating cleanser and batteries. This system has a 4.4 out of 5 star rating on Makeupalley and reviewers have commented that their skin is cleaner, the system removes all of their makeup, their face is softer and their pores are reduced. This system includes not only the powerbrasion unit but also exfoliating crystals, a 24 hour resurfacing cream and replacement sponge heads. While more a microdermabrasion system than a sonic cleansing system, the Skin Doctors product also works to remove the outer layer of skin and promises to reveal a glowing complexion while reducing the appearance of pores, blemishes and sun damage. This is the only system that combines dermabrasion with skin resurfacing and exfoliation from gentle yet powerful hydroxy acid contained in the exfoliating crystals. This system has a 3.5 out of 5 star rating on Amazon and reviewers have commented that their hyperpigmentation and scars have been reduced, their skin is smoother and their pores are less noticeable. This brush features two different types of bristles to match different areas of the face, while the sonic action helps to remove dirt, grime and makeup. Designed to be gentle, just a couple of minutes a day is all this brush needs to reveal cleaner skin and it has a 4 out 5 star rating on Clinique's website. The Clinique Sonic System Purifying Cleansing Brush was developed with dermatologists and the sonic vibration system makes this a real contender for the best Clarisonic Mia alternative. Developed as a more affordable option to the LUNA, the Play is much smaller and offers up to 100 uses. This a non-rechargeable product, meaning you'll need to buy a new one once the battery runs out, but that isn't bad for £29. The small silicone brush has soft bristles that vibrate with T-sonic technology to cleanse, unclog pores and remove dirt and makeup in just one minute. With two types of bristles for different areas of the face, this brush is able to adapt to each area and it's available in seven fun and vibrant shades. With the original LUNA being out of lots of people's price range, this is a perfect alternative and it can rival the Clarisonic Mia to create smooth and radiant skin. Have you tried any of these? If not, which appeals the most to you?